Copywriting is now more critical than ever for your organization to communicate with your audience. Good copywriting is needed, for not only a company’s website, but also for blogs, brochures, white papers, videos, presentations, case studies, advertising campaigns, emails, newsletters, and more. However, not all copywriters are the same. Different types of copywriters include sales copywriters, content copywriters, individuals who specialize in business to consumer communications, others who focus on B2B content, and other specialized types of copywriters depending on field. Inquire about their areas of expertise. It’s important to determine the writer’s specific domain knowledge. For example, security organizations should consider copywriters with a background in cyber security over individuals who lack industry knowledge. Confirm the skill level of the copywriter. Is the copywriter you are hiring — permanently or temporarily — a professional writer or somebody who does writing on the side? Does your project(s) require a copywriter with minimal experience or a seasoned pro? Determine if the copywriter knows your audience. Many businesses will have already determined targeted audience via customer profiles. Make sure the copywriter you hire understands your audience’s pain points/challenges and how your product or service benefits this audience. Ask for writing samples. Experienced copywriters are happy to share a sample of their work to show their skills and experience. Reviewing their portfolio can help you determine if they are the best person for your specific project. Learn what type of content the writer excels in. As covered, not all copywriters are the same. Some writers may specialize in writing web copy, others may have the expertise in writing white papers. While many copywriters have experience in various content types (case studies, blogging, white papers, solution briefs), they may have a content type they are truly passionate about and you can use that as an advantage to your marketing efforts. Request copywriters interview subject matter experts. Subject matter experts (SMEs) can provide an insider’s perspective of the particular topic, product, or service you’ve tasked the writer to cover. When copywriters interview and work with your organization’s SMEs, they will learn about your company’s positioning on the topic. Consider copywriters who have a background in journalism as they will have the experience of interviewing and valuing the time of experts. Consider scaling from one writer to a whole team. Hiring a copywriting team, which includes a chief editor, can help extend your content creation efforts. The chief editor can help manage the team, deliverables, and deadlines. While hiring one writer might be sufficient for your needs, what happens if your marketing organization requires multiple content deliverables under tight deadlines? Considering a copywriting that can extend your team’s efforts, manage expectations and help deliver relevant content to speak with your audience. Is Your Go-to-Market Plan Solving the Right Problem? The Three Pillars increase Go-to-Market ROI by putting your focus on improving the customer’s business, learning why customers select your offering, and understanding the science of decision-making so you can help your customers make better decisions. Winning a customer requires more than solving a problem. To win a customer over the long term, you must help them improve their business. To most marketers, this represents a shift in how they think and market. Get Selected Faster and More Often – Accelerate the sales cycle by understanding how people make decisions. Far from being difficult to implement, the Three Pillars create a virtuous cycle of marketing that improves execution with each iteration. The Three Pillars are commonly overlooked because they don’t tie directly to your company’s tangible product or service. They are a foundational approach that improves any product or service. Because the Three Pillars integrate with traditional go-to-market strategy and planning activities, big gains don’t require new investments or technology. Pick up a piece of marketing collateral and, with few exceptions, it will talk more about the vendor than the customer. This “inside-looking-out” point of view is natural but turns off customers who want to talk about their business, not yours. Start thinking this way, and your customers will notice and love you for it. Even if your product is unremarkable, simply speaking in terms of the success of their business rather than yours causes buyers to gravitate to your company. A common point-of-view prepares you to identify the real reasons why your customers buy from your company. Customers select your company for reasons that can be quite different from why you would select your company. Your customer’s buying decision depends less on the finer points of your offer than you think. You work hard to offer a quality product with lots of capabilities. So do your competitors. Customers expect quality, so quality is the cost of entry. Ditto for many features and capabilities. The downside of poor quality or missing a key feature is much larger than the upside from superior quality or a longer list of capabilities. It’s not so easy to figure out what matters. Beyond hard sales data, most customer buying information is riddled with confirmation bias, wishful thinking, and guesswork. Uncertainty leads to “throwing mud at the wall” to see what sticks. The Three Pillars replace this kind of guesswork with confidence. 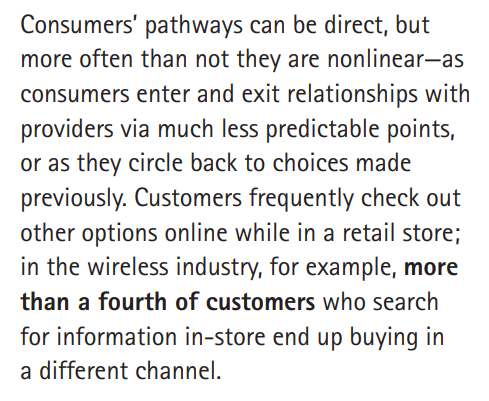 To figure out what drives selection, you must dig deeper. Be careful, surveys are ideal for validating hypotheses but are a poor choice when you don’t know what you don’t know. An open mind and an expert third-party will guide you toward insights you are unlikely to discover on your own. Seeing your business the way your customers see it and knowing why they select your company prepares you for Pillar 3: shortening the sales cycle by understanding how your customers think and decide. You don’t have to manipulate or even influence customers to gain a competitive advantage from aligning your marketing with how they make decisions. By understanding how your customer thinks, you can help them make better decisions. It’s counter-intuitive, but less information can drive faster, more confident decisions. People are less rational and more emotion-driven than they believe. This includes complex purchase decisions. They strive to be logical, but processing gobs of often ambiguous or conflicting information from multiple vendors flies in the face of how humans make decisions. People make an initial decision based on emotion, then cherry-pick facts to make their decision seem logical. A growing body of research shows that making an earlier emotional connection with the buyer gives you an advantage. Once they decide they like an option, the buyer’s thinking falls in line with their emotions (Raghunathan, University of Texas). Take away the emotional component, and we struggle with decision making. That’s what researchers found working with people who lack emotions due to brain injuries (Damasio, USC). Good decisions balance emotion and logic; both are required. The perception that a better logical argument wins the day undermines your marketing efforts. Nothing derails the buyer’s decision process like a long list of features—even benefits—when it causes them to reconsider their initial, emotional decision. 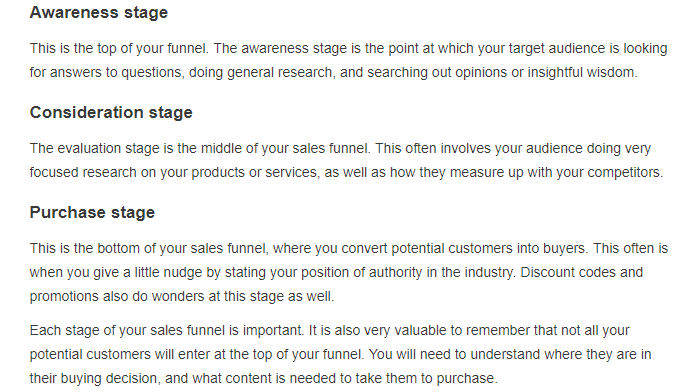 The Three Pillars infuse the entire go-to-market process, especially positioning & messaging, documenting the Buyer’s Journey, and sales enablement. Together these activities create clarity by re-casting critical marketing activities from the point of view of the customer. When I teach the Three Pillars to marketers, they are surprised to find the Three Pillars work especially well with complex B2B offers involving multiple people. These types of buying processes are full of uncertainty, and the Three Pillars create clarity and focus. By clearly aligning with your customer’s business success, buyers and influencers find it easier and less risky to select your company. Internally, the phased approach allows for a virtuous cycle of marketing that reinforces and improves execution over time. The Three Pillars quickly collects additional adherents based on demonstrated results. Using the Three Pillars to understand and align with your customers’ business success builds a more effective Go-to-Market plan that accelerates the sales cycle. Your company becomes an easier choice for customers because you are authentically aligned with the customer voice. Outside-In messaging rises above the noise because it is both unexpected and better. Finally, linking your success with that of your customers is extremely attractive positioning to customers.